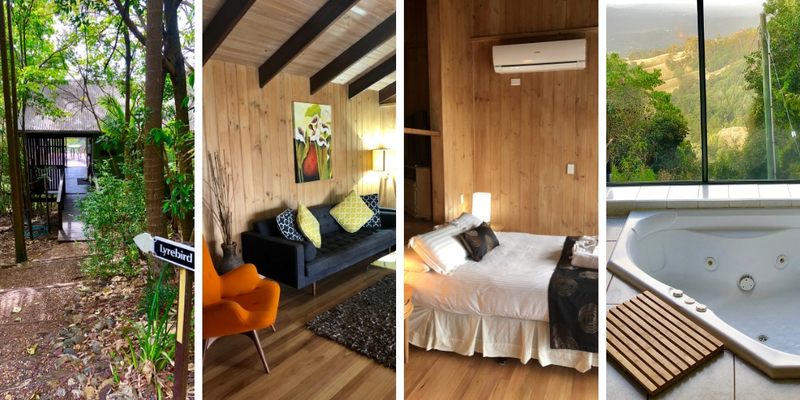 In this post I will look at some of the best accommodation options for a romantic getaway in South East Queensland specifically in the Gold Coast Hinterland and Sunshine Coast Hinterlands. All of these options offer privacy, luxury and some serious down time for those wishing to take their partner on a romantic getaway for that special occasion. What do all these properties have in common? LUXURY – Spa baths, log burners, king size beds, luxury toiletries, chocolates, wine and more. 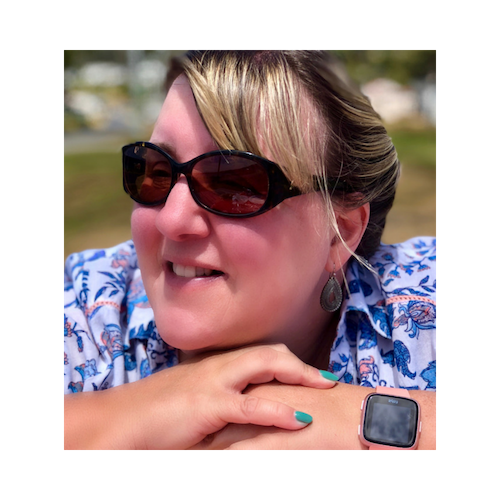 BEAUTIFUL SETTINGS – All 4 of my recommendations can be found in the beautiful surroundings of either Tamborine Mountain or the Sunshine Coast Hinterland. FABULOUS BREAKFASTS – All include breakfast in your room – some delivered in the morning or others picked up at check-in. Have breakfast in bed and enjoy your beautiful surroundings! NO CHILDREN – They are adults only and do not accommodate children. If you have kids leave them at home with their grandparents/godparents/babysitter and book yourselves in for some child/baby free time. 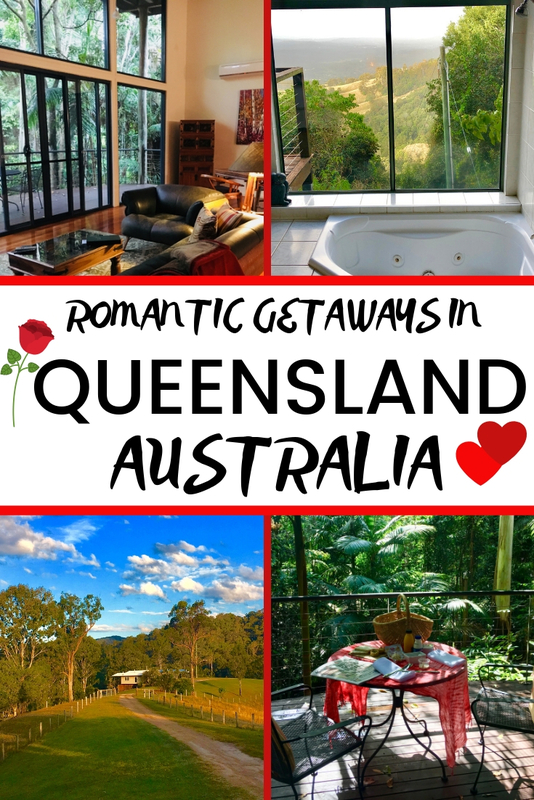 If you are ready to book that romantic getaway in Queensland (Gold Coast and Sunshine Coast Hinterlands) these are my top 4 choices. I love the wildlife in this area and we are always visited by at least 2 or 3 kookaburras at breakfast! Breakfast delivered to your door every morning. There are some lovely walks around the lake and it really is one of the most peaceful places we have ever stayed. Perfect to get away from it all and recharge your batteries. TIPS – Go in the spring to see all the lambs! Don’t leave your breakfast unattended – the kookaburras will eat it!!! 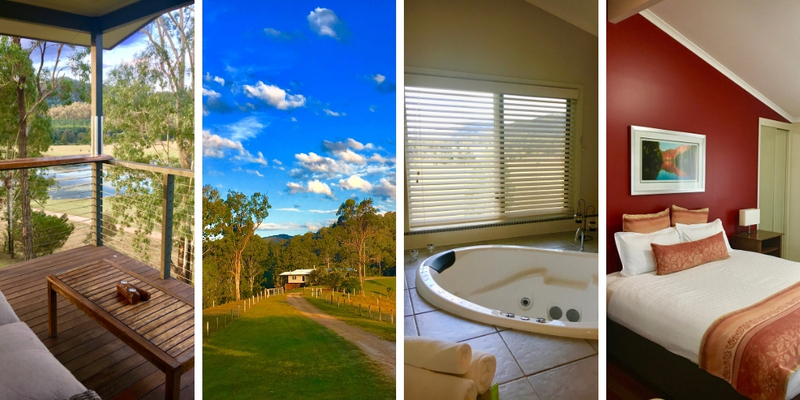 Treetops Seaview is located in the beautiful Sunshine Coast Hinterland town of Montville. 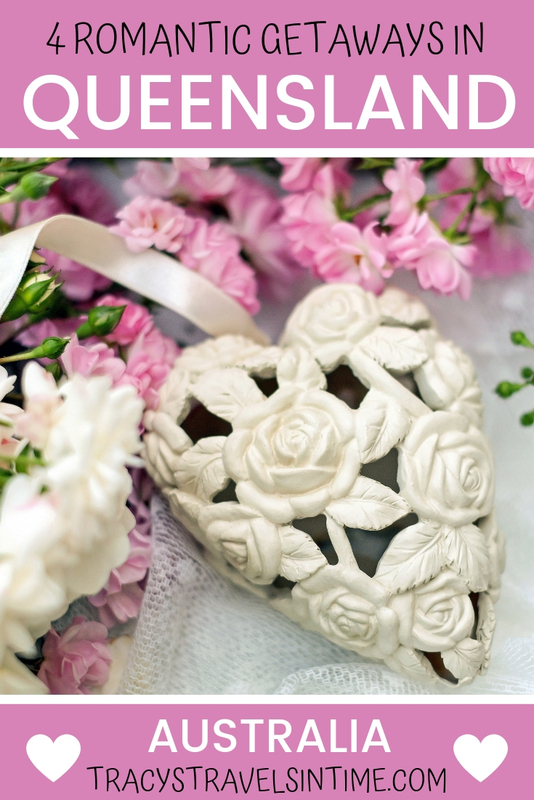 Probably one of the major destinations for weddings and honeymoons Montville is a popular destination all year round. Treetops Seaview is located only a 4 minute drive from the main street in Montville. At Treetops Seaview you will find individual luxury air conditioned cottages each with a balcony and outdoor dining area. Stunning mountain views stretch as far as the Sunshine Coast. Each cottage offers complete privacy and peace and quiet. We loved our stay at Treetops Seaview and would recommend it to couples who are seeking a relaxing break. If you enjoy eating out in the evening it is an easy walk to nearby restaurants. The cottages border the Kondalilla National Park which offers great walks for those feeling energetic! TIPS – Check-in is in Montville where you collect your breakfast hamper too. The driveway down to the cottages is quite steep and is accessed through a boom gate. 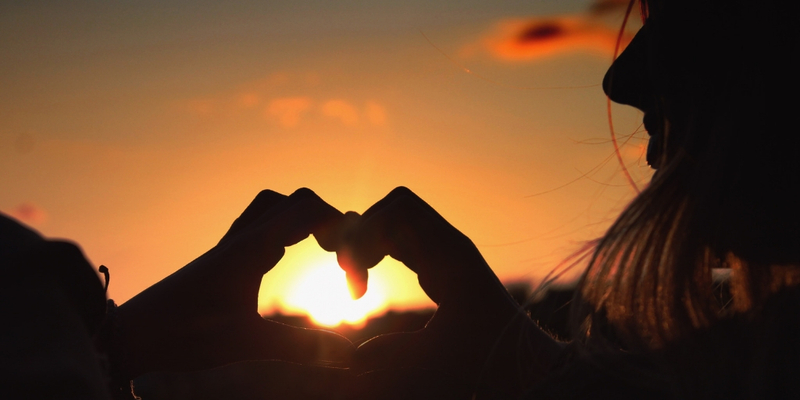 We love Tamborine Mountain and it is one of our favourite weekend destinations. 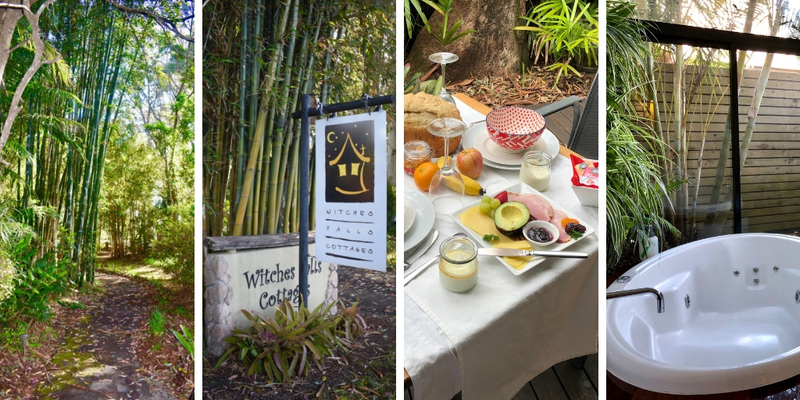 Witches Falls Cottages is a very popular destination for couples seeking a romantic getaway in Queensland so if this is the accommodation you choose make sure to book as soon as possible. The Cottages are a stone’s throw from the Witches Falls section of Tamborine Mountain National Park. If you enjoy walking there are some great hikes in the area. If you are seeking a totally relaxing break this is also a perfect destination. There are also a number of signature packages available to make your stay extra special. 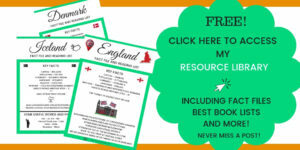 TIPS – Take copies of all the fantastic information guides they have provided for the area (there are multiple copies in the folders especially for you to do this). I have one of each sheet in a special folder and they are really lovely as well as informative. They are one of the most innovative things I have ever seen in any accommodation and really handy to have. If you decide to head out for dinner there are some excellent restaurants in the locale to suit all tastes. 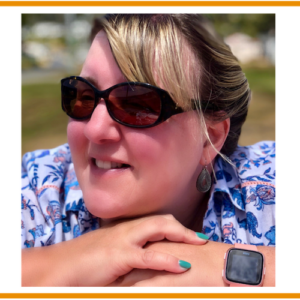 Read more in my post all about Tamborine Mountain. 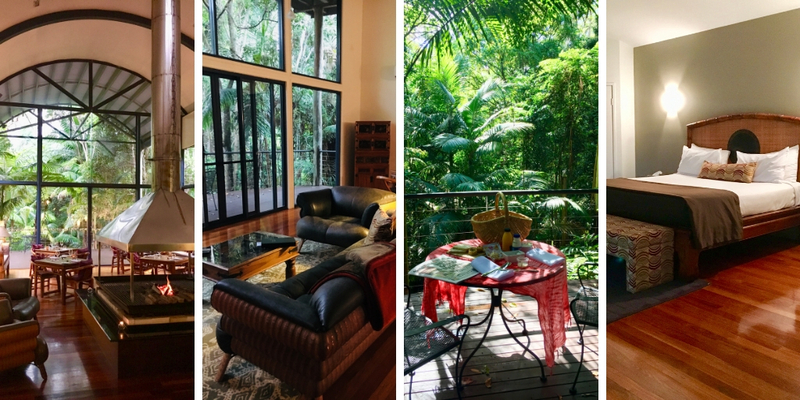 Surrounded by the Tamborine Mountain rainforest your treehouse is the epitome of chic luxury. Pether’s is the most luxurious and romantic place I have ever stayed. The tree houses are spread out and total privacy is assured. Breakast is delivered to your door in a hamper every morning with a discreet knock the only sound you will hear. Eat your breakfast on the large balcony and watch pademelons forage on the forest floor beneath you. Pamper yourself in the large spa bath whilst sipping a glass of complimentary bubbly. Pethers has an excellent restaurant open Friday and Saturday evening so book yourselves in for a romantic meal for 2. TIPS – Watch out for pademelons and wallabies at dawn and dusk! If you wake up when the sun comes up bring an eye mask as there are no blinds to block out light. If you are visiting Brisbane you can find out more about what there is to do in and around the city including Lone Pine Koala Sanctuary, South Bank, Mount Tamborine and the Sunshine Coast Hinterland.